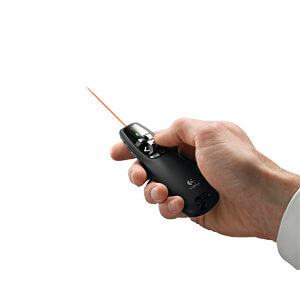 and a red laser pointer, so you can get straight to the point. Easily find the keys — without looking. 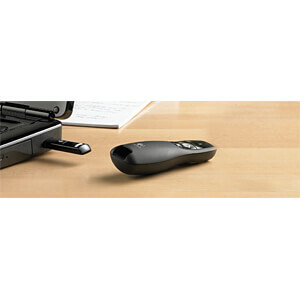 And thanks to its smooth contours, the presenter is comfortable to hold. From the beginning to the end, you have everything under control. 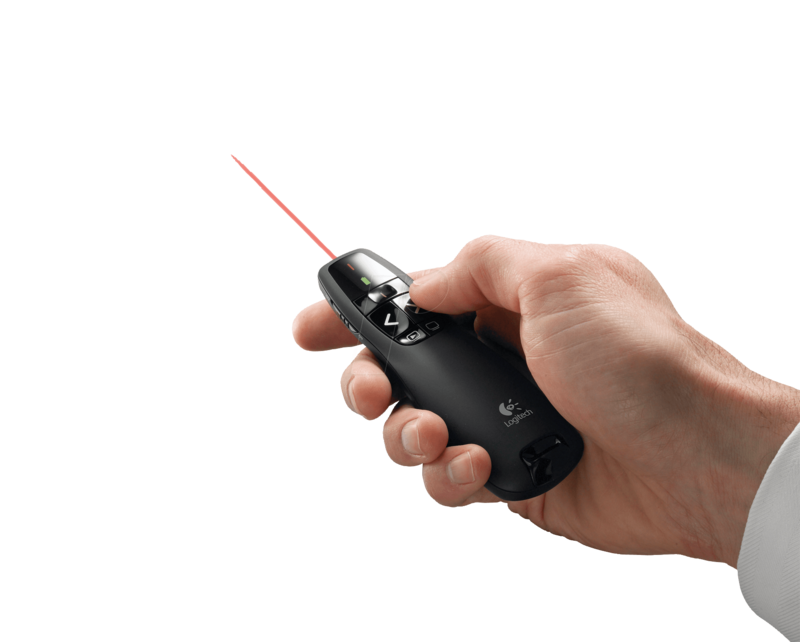 The red laser pointer allows your audience to see exactly what you're pointing at. 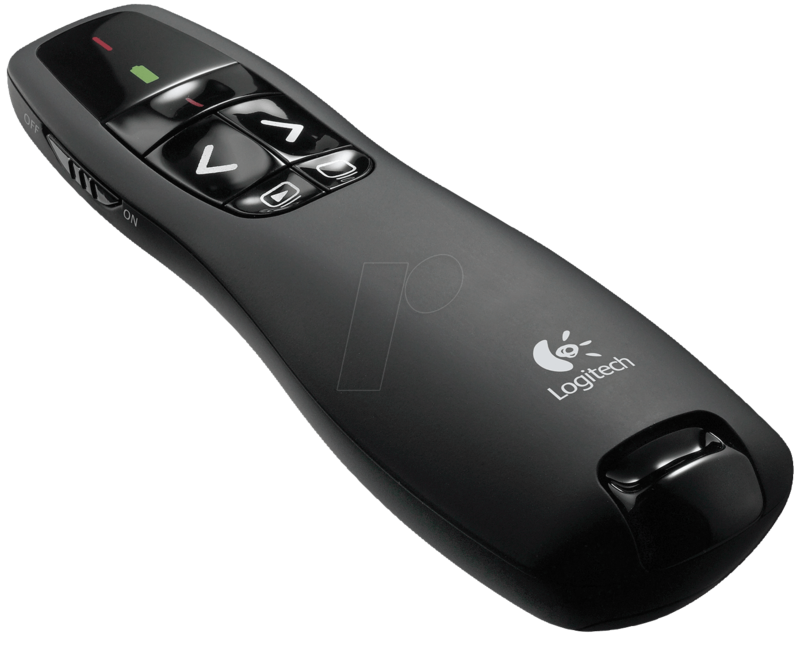 Thanks to the wireless 2.4 GHz technology, you can move around the room freely and mingle with your audience. So your message comes across well. So you can see the battery level at a glance. There is no software to install. 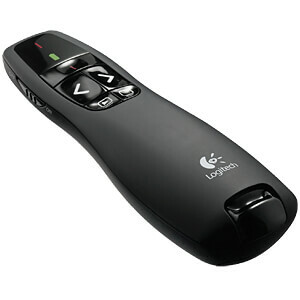 Simply connect the receiver to a USB port. 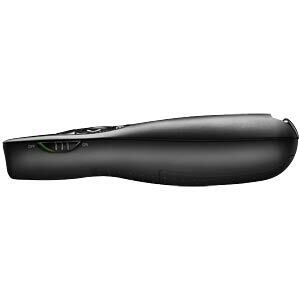 And when the presentation is over, you can store the receiver in the presenter.